The premium method of introducing added space to your home, orangeries sit comfortably between a conservatory and full-scale extension. 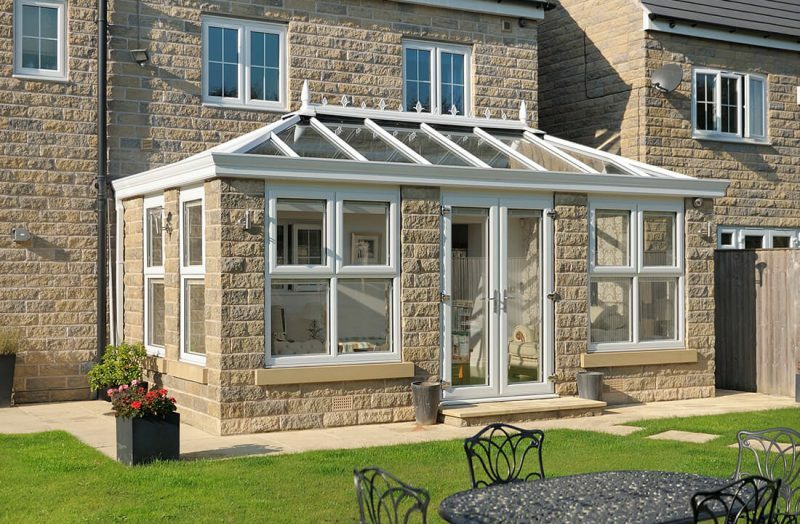 Read here for a detailed distinction of orangeries and conservatories. Orangeries are traditionally constructed using brick or stone pillars, allowing homeowners the ability to maintain a strong sense of privacy that feels like a more natural addition to properties. Acting as a seamless link between home and garden, Northern Trade install versatile spaces suited to host multiple applications with orangeries in Leeds. 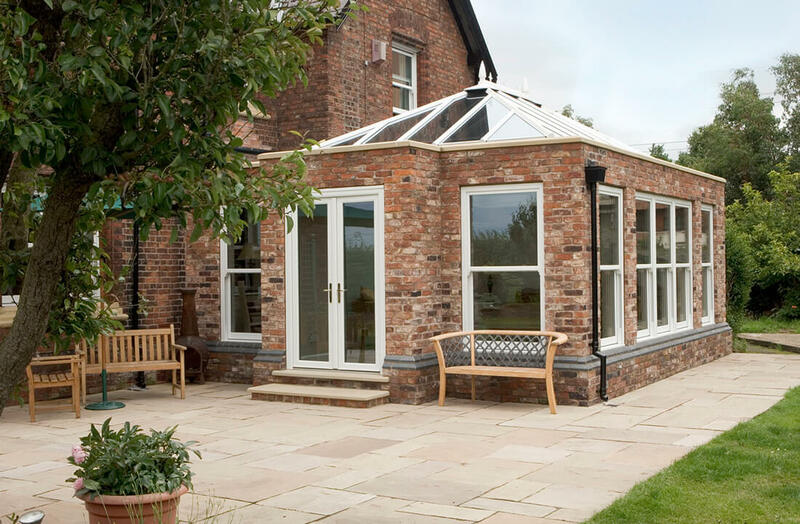 Orangeries from Northern Trade come tailor-made for the home every time, installed using materials and brickwork that are in keeping with the established look and feel of your main property. This stronger foundation means that almost any type of glazed or tiled roof can be accommodated, from simple shapes to extravagant lantern roofs. Almost every window and door style can be integrated into an orangery, complete with multi-point locking as standard to help ward off intruders. Their uniquely solid construction makes them more secure than conservatories, with all penetration points now catered for. 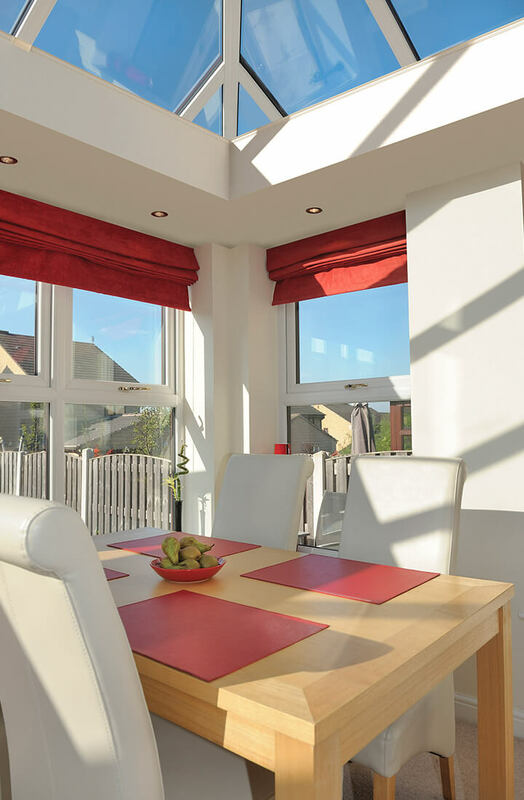 Built by our specialist team of installers, orangeries can be enjoyed 365 days a year when combined with energy efficient double or triple glazing options. The newly added space will maintain reduced heating costs free of draughts and cold spots. Our uPVC roof lanterns always help shed a little light on the situation - quite literally, in dilapidated spaces where it hasn't been able to before. 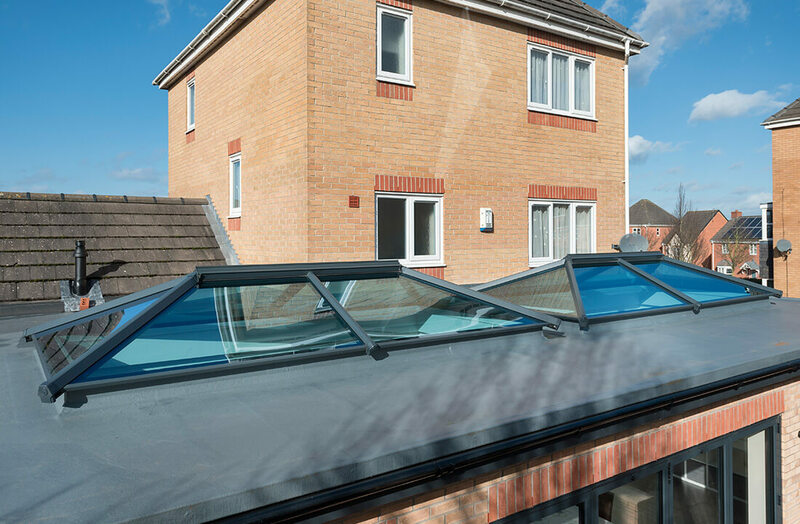 Sleek and uninterrupted sightlines means letting natural sunlight easily permeate any area of the home that sits under a flat roof.